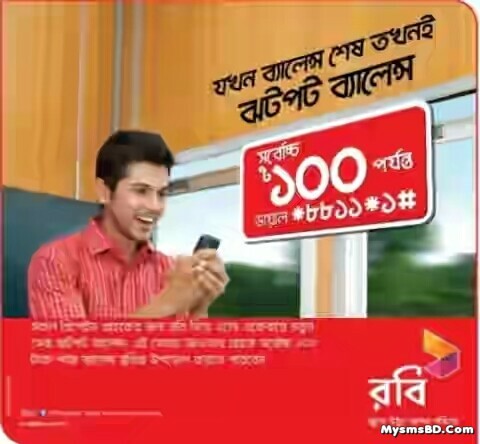 Now Robi prepaid customers can enjoy upto 100tk Jhotpot Balance service during the urgent need when the balance is finished. • This service is for all the prepaid customers (without Uddokta, Easy load , Corporate & SME). • Double credit limit offer will be available to all eligible customers without those that have had an outstanding advance on Jhotpot for greater than 60 days. • This credit will be recovered when they recharge their account after availing the credit. • In the next recharge, the Jhotpot balance (70% of the recharge amount or total credit amount whichever is lower will be applicable ) amount will be deducted from the recharged/refilled amount.